Rev. Armand J. Thibault, S.m. Boston – Rev. 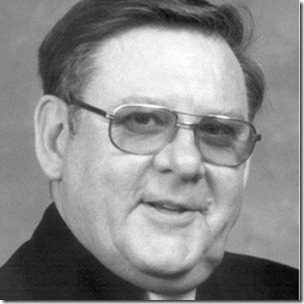 Armand J. Thibault, S.M., of Boston, died Monday, August 13, 2012 at The Golden Living Center in Norwood. He was 80. Fr. Thibault was born in New Bedford on April, 13, 1932, a son of the late Romeo and Albina (Belisle) Thibault. In 1946 he joined the Brothers of the Sacred Heart and was professed in the order on August 24, 1950. Having taken the name Brother Raymond, he became an educator for the next thirty years. He earned degrees in religious studies from Saint Michael's College in Vermont and from Boston University. In 1956 Fr. Thibault volunteered for the order's African missions and spent twenty-one years teaching and ministering in Lesotho and in Zambia. Deeply committed to the Lord's call to ministry he transferred to the Marist Order in 1982 where he studied for the priesthood. Fr. Thibault was professed in the Society of Mary in 1984 and was ordained a priest at his home parish, Saint Joseph's in New Bedford, on June 8, 1985. His priestly assignments included Saint Anne's Church in Lawrence, Saint Joseph's Church in Haverhill, Immaculate Conception Church in Westerly, Rhode Island, Saint Bruno-Saint Remi Church in Van Buren, Maine and Our Lady of Victories Church in Boston. In 2009 he retired to the Marist House in Framingham. He leaves his sisters, Florence A. Millette and Doris Thibault, PhD, both of New Bedford, Rita Bedard of Dartmouth and Alice G. Bonneau of New Bedford; a dear family friend, Jacqueline Mathieu of New Bedford and many nieces and nephews. Fr. Thibault was also a brother of the late Blanche Madec and Albert V. Thibault. Family and friends will honor and remember Fr. Thibault's life by gathering for calling hours on Thursday morning, August 16th from 8 to 10 a.m. in Our Lady of Victories Church, 27 Isabella Street, Boston where his Funeral Mass will be celebrated at 10 a.m. He will lie in state in Saint Joseph-Saint Therese Church, 51 Duncan Street, New Bedford on Thursday, August 16th, from 4 to 8 p.m. where the Wake Vigil will be held at 7 p.m. His Mass of Christian Burial will be celebrated at 10 a.m. on Friday morning followed by burial in Sacred Heart Cemetery, New Bedford. Memorial donations may be made to the Marist Mission Office, 27 Isabella Street, Boston, MA 02116.